Managing Emotions are just some of the topics. it provides readers with the best medical and practical information available on this disorder. The book describes the symptoms, which can range from dry eyes and dry mouth, to hoarseness and difficulty in eating, to chronic fatigue and joint pain that can seriously impair quality of life. It offers complete information about diagnosis (there are blood tests that can be used to help diagnose Sjogren's), and provides an extensive discussion of how Sjogren's affects the various organ systems of the body, including the kidneys, blood vessels, lungs, liver, pancreas, and brain. The book also discusses treatment options (such as moisture replacement therapy) and offers tips for daily living. The stories themselves are emotional roller coasters. 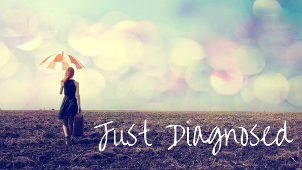 the pressure Sjogren's syndrome has put in their lives. Their inspiring stories are well-told by the author. Reviewed by Eduardo Aduna for Readers Favorite. You can get it in paperback or on kindle. Breaking the Silence: Death of a Superwoman: My Battle with Sjogrens Syndrome and Chronic Illness by Ayanna F Henry in 2015 on kindle and paperback for only $5.99. BOOK'S BLURB: A self-professed "superwoman" shares her story of suffering in solitude while battling a still little known disease, "Sjogrens Syndrome" in "Breaking the Silence: Death of a Superwoman". This book gives an inside, up-close and personal view of Ayanna's experience with this illness and the ultimate price she paid. It is her hope that she can encourage others who may have lost hope and to remind them that they are not alone. Written by Sjögren's sufferers from various regions of the United States and Canada and including a foreword by Steven Taylor, CEO of the Sjögren's Syndrome Foundation, Tales From the Dry Side offers up the stories of thirteen courageous men and women who share their journey with diagnosis, symptoms, and treatment of Sjögren's, as well as candid portraits of how this illness has affected their families, their personal lives, and their careers. This book is an honest, raw look at the thoughts, concerns, fears and struggles as Kelly deals with Sjögren’s Syndrome. The story isn’t just about Sjogren’s, it’s for everyone impacted by chronic disease of any kind. Kelly’s hope is that patients will find solace and validation; friends and family will gain understanding and the abilities to empathize, communicate and support loved ones; and medical professionals will gain understanding and ability to empathize - impacting the way they interact with patients. I am an affiliate with Amazon associates and through this I receive a very small percentage of any sales of these books, at no extra cost to you. I use this to support the work I do maintaining the Sjogren's blog facebook page, twitter account and newsletter. Thank you.